…. After all, “variety is the spice of life”. Freshly grown and cut herbs placed in a vase filled with water adds beauty and a wonderful scent to the kitchen. Keep the herbs within hands reach makes it easy for the cook to chop and provides flavor to dishes while reducing sodium. Herbs when added to any dish, accent’s and brings out the best from vegetables and meats. 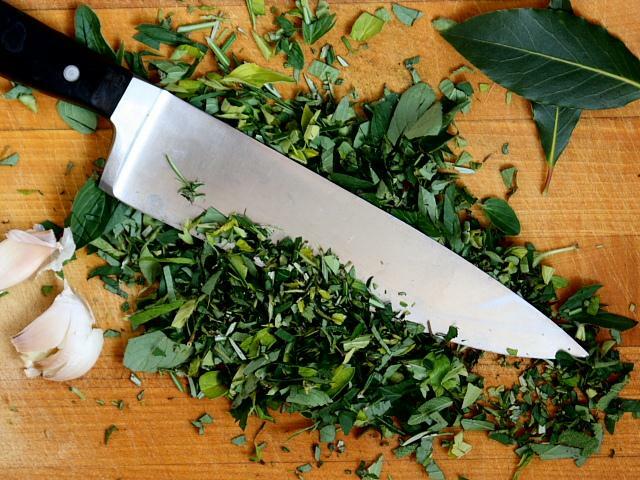 Consider making some changes to your meal preparation; buy spices and always keep a bouquet of garden fresh herbs within hands reach ready to be enjoyed. 1 tsp Tarragon, 1 tsp Red Pepper Flakes, 1 square inch cheese Rind from the end of Parmesan Cheese added to any soup. Allow to simmer for 45 minutes. With a 2 tbsp olive oil combine equal parts of ROSEMARY, SAGE, THYME, to a GARLIC clove, half ONION for your favorite beans. • Try any of these herbs in your steamed vegetables or in soups. Choose from 1/2 tsp Mint, Lemon Zest, or Dill are great in rice with vegetables and kidney beans, or in dips with yogurt and low fat sour cream. 1 tsp chopped Chives and 1 tsp parsley are great on top of salad, soup or baked potato. They are also good in dips with yogurt and sour cream. • For a delicious Pot Roast choose a group of seasonings, rub onto meat, place into a covered dish or closed plastic bag, allowing to absorb flavors for 4+ hours then prepare according to roasting time. Herbs releases a wonderful aroma adding great flavors to your meals. 1 tsp Turmeric, 1 tsp Marjoram, 1 minced Garlic Clove, 1 Tbsp Extra Virgin Olive Oil . 1 Tbsp chives, 1/2 tsp Oregano, 1 minced Garlic clove, 1/2 c. chopped onion, 1/2 tsp Cumin, 1 Tbsp Extra Virgin Olive Oil with tomatoes (tomato sauce), rice, black beans and corn for a delicious Spanish flavor. 3/4 cup wine can be substituted with1/2 cup apple cider vinegar or red wine vinegar and 1/4 cup water. • Place fish onto a large aluminum foil. In the center of fish place 5-10 leaves of parsley, 4 garlic slices, 1/4 tsp red pepper flakes. Completely cover fish and seal aluminum, place into oven and bake on 350 for 20 minutes. Have you noticed that your tastes may vary, craving salty or sweet foods in different moments of the day? Years of gathered research from studies done on infant’s to adult’s show that salt is both a preference and a requirement. The same research proved that we have a craving for sweet tasting food’s driven by a gene which promotes the need for fruit and vegetables. While sodium and salt are words that are often interchangeable the difference is determined between the name of the mineral and the function of one of its element’s. Salt, also known as sodium chloride (NaCl) is made up of two elements: 40% sodium (Na) and 60% chloride (Cl). 1/4 teaspoon of salt contains 600 milligrams of sodium (Na). The body requires no more that 2300 milligrams of sodium per day, or 1 teaspoon of salt a day. Sea Salt and Table Salt have the same amount of sodium. Sea salt is produced from the evaporation of sea water, while table salt is: mined, ground and has iodide added to the grains. (which lacks in sea salt). Briefly stated, the benefits of sodium are found in: sweating, transporting nutrient’s from head to foot, transmitting nerve impulses (250-500 mg sodium just for neurological & psychological function’s) and contracting muscles such as your heart. Equally important are the limit’s that sodium imposes; when the kidney has an excess of sodium it releases water which then increases the blood volume. 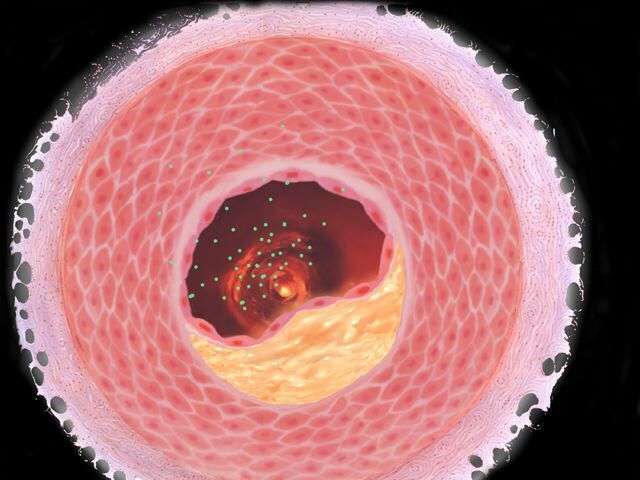 As the blood level increases, it’s flow within the body also increases the blood pressure. The heart will in turn work harder to pump blood which in creates instability within the blood vessel’s and creates a risk for heart problems, or a stroke. A great argument for limiting daily salt intake. Limit sodium intake to 1500 mg Na per day (1/2 tsp salt) For those: over age 51, have diabetes, high blood pressure or chronic kidney disease. A Doctor’s appointment will prove valuable in evaluating an individual’s blood pressure. As adult’s age systolic blood pressure increases by four points per decade. The systolic number is the first number documented in a blood pressure reading 120/80. 120 mm Hg (millimeters of mercury) indicates the maximum arterial pressure during a contraction of the left ventricle of the heart contracts. It is advised to not exceed the maximum pressure of 120 so as to not force the heart to work harder in pumping the necessary blood that the body requires. While the diastolic, second number “80”mm Hg, represents the pressure when the heart is resting between beats. If blood pressure falls into the hypertension category foods to immediately avoid: Carrots, Celery, Spinach, Beets and remove the Water Softner. When purchasing prepackaged foods READ the FOOD LABEL make sure that the Potassium values are higher than the sodium values. ﻿Health benefits of Saffron make it amongst the most common, sought after, researched spices.﻿ ﻿The red colored spice (yellow when interacting with food) has shown to be a key ingredient in healing the body, including its help in the treatment of a number of medical ailments such as: depression, macular degeneration, weight loss, asthma, menstrual discomfort. With a botanical name of Crocus Sativus and commonly called saffron, this wonder spice is sought after from Europe to the Middle East. Iran is the world’s largest producer of saffron which has researched saffron’s potential medicinal use specifically on how it reduces depression. The research at the Roozbeh Psychiatric Hospital in Tehran University of Medical Sciences, has found saffron to be a safe and effective antidepressant (due to carotenoid alpha-crocin). Research preformed in Germany has confirmed the results. While the University of Sydney Australia and University of L”Aquila Italy have focused on improving the retina as related to macular degeneration through the consumption of Saffron Supplements. After 3 months of ingesting the saffron the patients had considerable improvement in their vision. Researchers in France had hypothesized that by improving ones mood through taking a saffron supplement, one could lose weight. The results showed that in fact by improving ones mood and reducing depression that weight loss could be achieved. Additional information has confirmed that saffron also totes the ability to ease stomach aches, kidney stones and alleviate bronchial constriction. Saffron’s medicinal attributes come from minerals and vitamins: copper, potassium, calcium, manganese, iron, selenium, zinc and magnesium. Cartoenoids: α-crocin, zeaxanthin, lycopene, α- and β-carotenes; all important antioxidants helping to protect a body from oxidant induced stress, cancers and infections. Vitamin A, folic acid, riboflavin, niacin, vitamin-C.
Saffron supplements have been found to be effective in studies, however, caution is advised if encountering any of the following: nausea, vomiting, appetite loss or drowsiness. Consult a doctor if more serious side effects occur such as persistent vomiting, blood in the urine or stool’s, nosebleed or dizziness. These may all be signs of a saffron overdose. Use of saffron must be avoided by those with liver or kidney disease, allergies and bipolar disorder. Pregnant and breastfeeding mothers should also check with a doctor before using saffron. 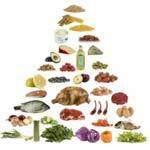 Obestiy…Biochemical, Hormonal, Fat or Carbs related? There are many discussions on how obesity comes about, and is presently being researched by renowned Physicians and Dietitians. What happens in the uterus when the fetus develops is key to understanding not only the “Nature” ( DNA ), but the “Nurture” or nourishment of the infant. Children imitating their parents eating habits may actually begin much earlier than before starting their first foods, outside the womb. It’s already known that mothers who take drugs or drink will have babies born with addictions. What about Corn Syrup and the fact that it is often a key ingredient in many processed foods? Once upon a time ketchup contained anchovies, now it contains corn syrup. Strangely enough, many continents who have already made corn syrup unlawful in their countries, do not have the same amount of individuals suffering from pathologies, such as diabetes and kidney disease in the numbers that we have in the USA. The following video with Joy Behr (View), Dr. Weil, Dr. Oz and Dr. Taubes present many questions that are being studied and researched today. You may want to additionally check out the Articles & Videos section which include topics on: Calorie Restriction, “Which Calories Do You Reduce” and Control Obesity, Control Pathologies?.